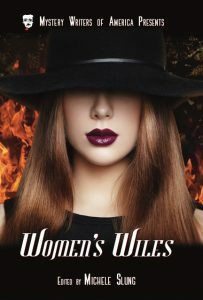 Mystery Writers of America Presents is the force behind more than 60 MWA anthologies, published more or less annually since 1946. MWA Presents: Classics is a chance to bring some of these older, classic collections back into print for a new audience. 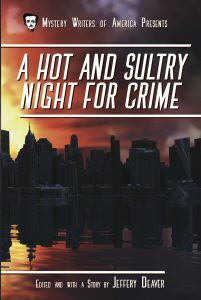 The Classics re-issues began with the 2003 A Hot and Sultry Night for Crime, edited by Jeffery Deaver. Future anthologies include stories by many of the great writers from MWA’s history. Since 1945, MWA has been America’s premiere organization for professional mystery writers, dedicated to learning from each other, helping new members, and sharing our successes and good times. 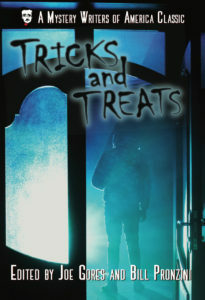 The Classics anthologies find these writers at their best, intriguing readers and fellow writers long into the future. To sign up for the announcement list regarding re-released anthologies, fill out this form.